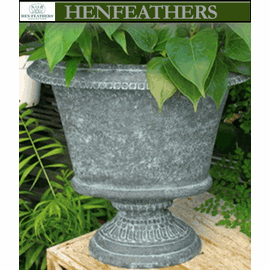 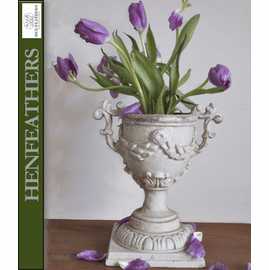 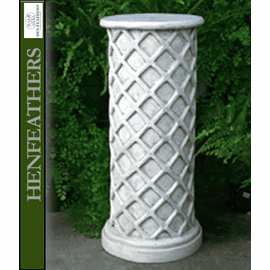 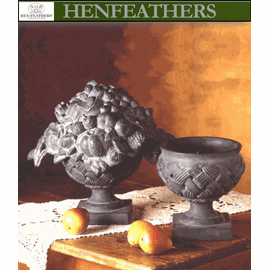 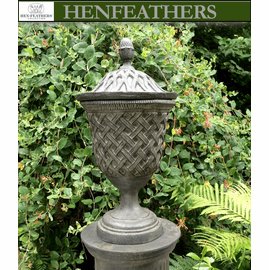 HenFeathers elegant vintage lattice weave pattern urn. 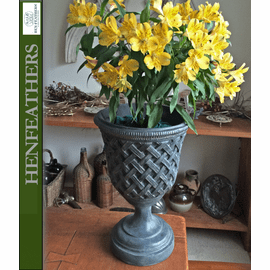 Beautiful stand alone or planted. 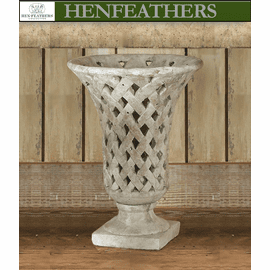 Matches vintage weave lattice pedestal #LB9008DV." 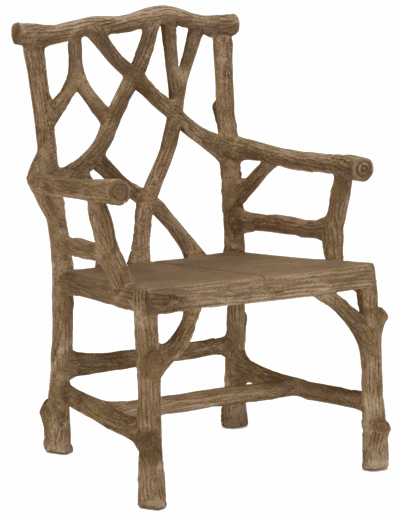 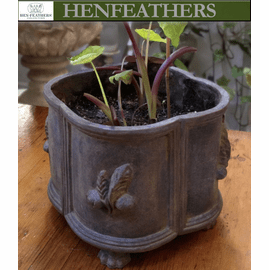 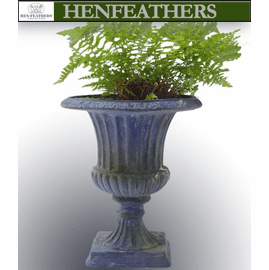 GREAT for Topiary, Evergreens and Floral arrangements. 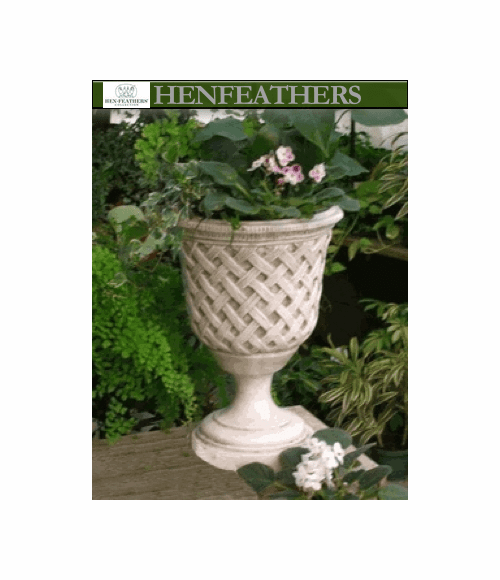 Shown here on left in Dover white and in Essex Lead above. 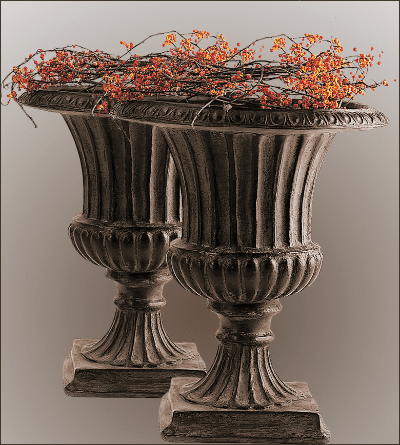 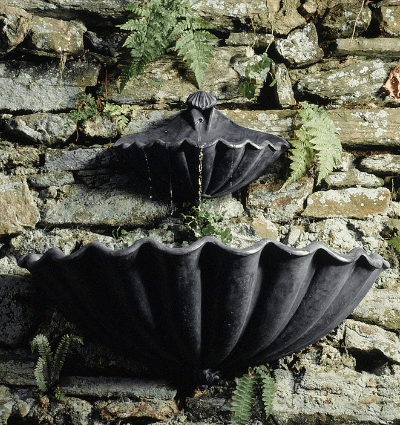 Hand cast and finished in the USA in bonded marble and stone composition.